Like many organic products, red wine exists in both a mass-produced form with consistent taste and profile, and a more refined, specific form, crafted in small batches. Most red wines are of the former variety and available everywhere under the name of various big brands. The latter variety are well known to connoisseurs and take some research to get familiar with. The aficionado of wine is primarily interested in a wine being evocative of a feeling or a place, sometimes called the “terroir” of the wine, recognized as the origin of its character. Some of these wines are of such limited availability that a serious wine enthusiast ought to consider buying them when shopping for online groceries. Firstly, a good wine has no faults, showing that it has been carefully made and tended to every step of the way. 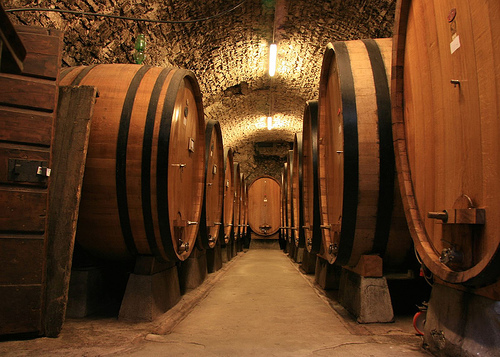 For example, if the barrel used to store the wine hasn’t been cleaned and disinfected, your wine could taste musty due to taking on the flavor of molds still in the barrel. Wine that has been poorly ventilated with a bad cork or in a room that’s too warm can become oxidized and develop off flavors. On the other hand, if you disinfect too vigorously, using too much sulfur or too much acetic acid for fermentation, the wine develops strong flavors. Typically the most immediate thing you’ll notice about a wine aside from the bottle is the aroma. In fact, some wine enthusiasts ask to sniff the cork when purchasing wine so that they can get a sense of the flavor without overly aerating the wine. A consistent rule of thumb, outside of some rare examples, is that a good wine will smell good. Bad wines smell flat, one-note and astringent. While some astringency is part of the character of red wine because of tannins, they shouldn’t dominate the smell of the wine, and for that matter, the flavor profile. Finally, a good wine will not only taste good, but the taste will be complex, with hundreds of flavors possible, from sweet, to tart, to woody or fruity. This flavor profile is experienced in sequences, from the moment of smelling the wine as it’s first tasted it to the time it’s swallowed, each sequence having unique notes and hints of flavor. Tasting wines have their own unique flavor, not at all like mass-produced wines which have a similar, consistent and monotone taste from bottle to bottle and year to year.